The relevance and economic implications of public procurement – which represents 12% of GDP and one-third of government expenditures in the OECD area - make it a powerful tool for improving public service delivery. At the same time, governments are increasingly using their purchasing power to pursue strategic objectives in different policy areas such as sustainability, innovation or providing support to small and medium-sized enterprises (SMEs). Making it easier for SMEs to access public procurement opportunities improves the general economic environment, promotes inclusive growth and supports principles such as equal treatment, open access and effective competition. 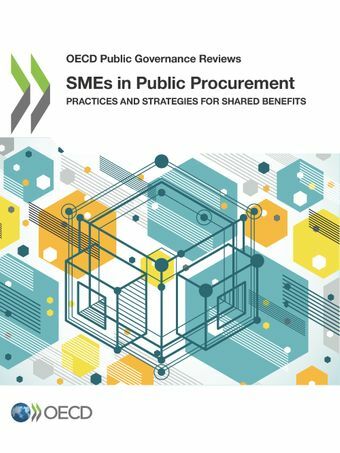 This report takes stock of the approaches adopted in 37 OECD and non-OECD countries to help SMEs perform better in public procurement markets, including removing barriers to their participation. The report also describes the main features of a public procurement system that benefits both the public sector and SMEs. Public procurement and SMEs: Why the relationship matters? Enabling implementation: What is it SMEs and public procurement officials need? Monitoring and evaluation: How are SMEs performing?